Dr. Omer Sergi is a lecturer and a researcher for Ancient Israel Studies in The Sonia and Marco Nadler Institute of Archaeology, Tel Aviv University. He has completed his PhD dissertation at Tel Aviv University (titled: “The Rise of Judah in the 9th century BCE: Archaeological, Historical and Historiographical Perspectives”; approved 3/03/2013), under the supervision of Prof. Oded Lipschits. Following the submission of his PhD dissertation he spent two years (2012–2014) as a research fellow in the Theologisches Seminar of the Karls-Ruprecht Universität Heidelberg (Germany), on behalf of the Alexander von Humboldt Research Fellowship for Outstanding Post-Doctoral Scholars. During the first year in Heidelberg (2012–2013), he was invited to teach biblical historiography, biblical history and biblical archaeology in the Hochschule für Jüdische Studien. 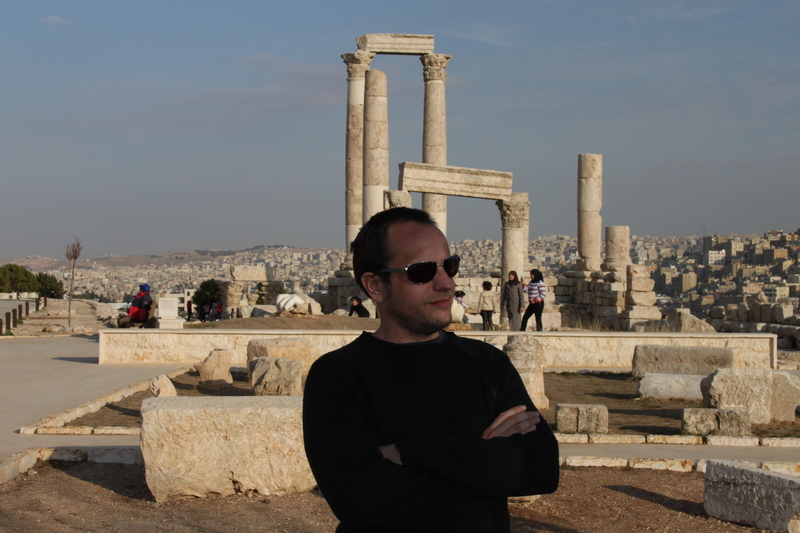 Dr. Sergi has also filled a staff position as an area supervisor and as a researcher in the archaeological excavations at Ramat Rahel (2004–2010) and at Azekah (since 2012). Recently, he has also joined the Archaeological Excavations in Tel Abel Beth-Maacah. His major field of interest and research is the historiographical literature in the Hebrew Bible studied both in its historiographic context (sources, composition and redaction) and in its historical context (biblical literature as a source to reconstruct political and cultural history of Ancient Israel). Being able to practice both archaeology and biblical criticism his studies integrate the research of material culture with that of the texts and scripture in order to shed light on the history, culture and society of Ancient Israel and its neighbors. Beside his academic work, Dr. Sergi has constantly been involved in teaching and educating popular audiences by developing new methods aiming to improve biblical studies in elementary and junior high-schools in Israel (together with J. Lipschits and Prof. Oded Lipschits). Sergi, O. In Preparation. Between Jerusalem and Samaria: on the Emergence of Judah in the 9th century BCE. Jerusalem. Sergi, O., Oeming, M. and de-Hulster, I. (eds). Forthcoming. In Search of Aram and Israel: Politics, Culture and the Question of Identity (ORA). Tübingen. Sergi, O. 2010. The Composition of Nathan’s Oracle to David (2 Sam 7: 1-17) as a Reflection of Royal Judahite Ideology. JBL 129 (2): 261-279. Lipschits, O., Sergi, O. and Koch, I. 2010. Royal Judahite Jar Handles: Reconsidering the Chronology of the LMLK Stamp Impressions. Tel Aviv 37: 3-32. Lipschits, O., Sergi, O. and Koch, I. 2011. Judahite Stamped and Incised Jar Handles: A Tool for Studying the History of Late Monarchic Judah. Tel Aviv 38: 5–41. Sergi, O., Karasik, A., Gadot, Y., Lipschits, O. 2012. The Royal Judahite Storage Jars: A Computer Generated Typology and its Historical and Archaeological Implication. Tel Aviv 39: 63–93. Finkelstein, I., Lipschits, O. and Sergi, O. 2013. Tell er-Rumeith in Northern Jordan: Some Archaeological and Historical Observations. Semitica 55: 7–23. Sergi, O. 2013. Judah’s Expansion in Historical Context. Tel Aviv 40: 226–246. Sergi, O. 2014. Foreign Women and the Early Kings of Judah: Shedding Light on the Historiographic Perception of the Author of Kings. ZAW 126: 193–207. Sergi, O. 2014. The Alleged Judahite King List: Its Historical Setting and Possible Date. Semitica 56: 233–247. Sergi, O. 2015. Queenship in Judah Revisited: Athaliah and the Davidic Dynasty in Historical Perspective. In: Römer, T. C. and Güichard, M. (eds.) Tabous et Transgression (OBO). Fribourg: 99–112. Sergi, O. 2015. State Formation, Religion and “Collective Identity” in the Southern Levant. Hebrew Bible and Ancient Israel: 37–58. Sergi, O. in press. The Gilead between Aram and Israel: Political Borders, Cultural Interaction and the Question of Jacob and Israelite Identity. In: Sergi, O., Oeming, M. and de-Hulster, I. (eds.) In Search of Aram and Israel: Politics, Culture and the Question of Identity (ORA). Tübingen. Sergi, O. in press. Die Schlacht von Ramot-Gilead und der Niedergang der Omriden-Dynastie: Versuch einer historischen Rekonstruktion. In: M. Oeming and P. Sláma (eds. ), “A King Like All the Nations” (Deu 17:14)? The Kingdoms of Israel and Judah in the Bible and History (BVB 27). Münster.